I’ve recently gotten into Sherlock. I know, took my time. But I’m making up for the slowness – I just don’t have enough time to watch TV! – with the level of my obsession. So, as I normally do when I start obsessing about something, I went on the internet. And the the internet instantly reminded me of the wonders of fandom, the ship, losing a whole day in fanfiction…and that you can never follow too many feeds posting pictures of Benedict Cumberbatch. I think I’m enjoying this so much because it takes me back to the days when I was a teenager, had a lot more time to watch TV, and stayed up all night reading (or writing) fanfic and browsing into infinity through forums and galleries. 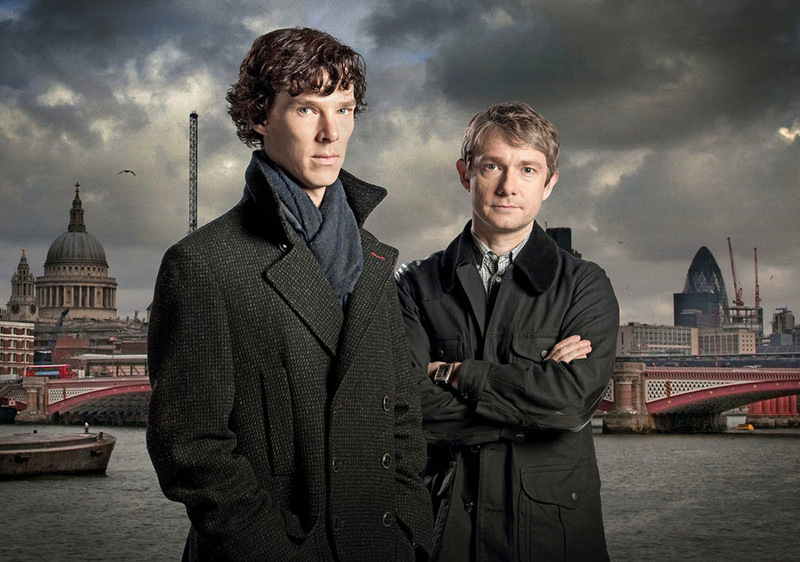 And also because Sherlock is the first TV drama that has really gotten to me in this way since the end of X-Files. Ooh, obsessions. How I missed you. I’m not exactly a shipper when it comes to Sherlock. Maybe a little bit ship-curious. But I do think that the writers of the series have done a tremendous job in crafting a modern version of the legendary relationship between Sherlock Holmes and John Watson, acknowledging the “are they / are they not?” question with a lighthearted nod at regular intervals. And even though you’d think the writers had fired a fatal blow at the ship by saying recently that romance is not going to happen – “they’re just not wired that way”, apparently – there is certainly enough subtext going on in each episode to keep the ship floating. So, as much as I enjoy watching and re-watching, and re-watching, and pause-facing Sherlock, I enjoy scrolling through miles of my tumblr and Instagram feeds filled with fun and fancy artwork and shared obsessions. I find it fascinating – and immense fun – to delve into the fandom and observe other people’s perceptions of a TV drama I’m loving. I want to STUDY this stuff. Seriously: If I was still at uni I would totally propose a dissertation analysing the internet’s reaction to the BBC’s Sherlock. Naturally, my little inner fangirl was extremely delighted last week to find Benedict Cumberbatch ACTUALLY TALKING ABOUT THE FANFIC and Johnlock and all that on TV. That’s just like complete meta-awesomeness. It’s a great relationship…between Kirk and Spock… No! You see, this is it. If I talk about a relationship between two men in a drama, they’re immediately at it. The world wide inter-lie will just basically go, splat, there’s a load of fanfiction, which has me and John Watson floating in space, on a bed, handcuffed to one another…and not just with handcuffs, either. Oh Sherlock, you see, but you don’t observe…the subtext!